How to add task items. To add barcoded items, click on the "barcode" icon in the top right of the task summary page, which will open the barcode scanner. Select the appropriate item type. Edit your item information on the Task Item Details Page. 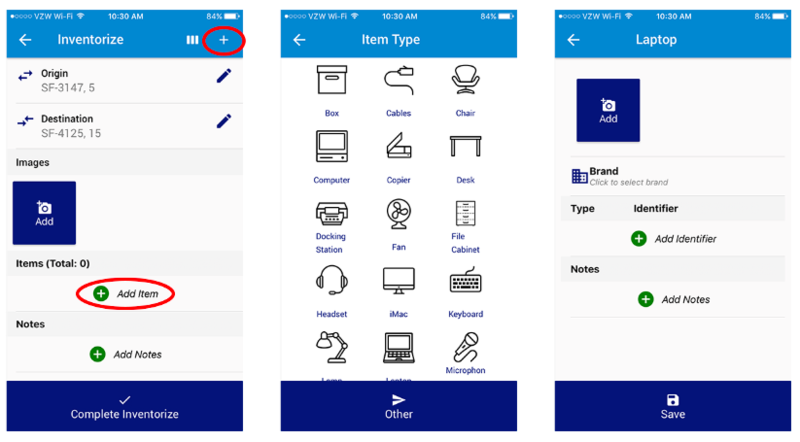 To add non-barcoded items, click on the "+" icon in the top right of the task summary page, or the "Add Item" button in the Items section, which will open the item type menu.